If you thought recipes were strictly for baking, think again! Homemade natural skin care recipes are a fun and affordable, way to take advantage of the many benefits natural skin care has to offer. While natural beauty recipes aren't always the most practical way of getting our natural skin care fix, they are well worth the time and effort. Before you get started working with homemade natural beauty recipes, there are a few things you'll want to keep in mind. Keep it clean. Wash all fruits, vegetables, and dried herbs before use. Pass the test. Conduct a patch test for all new ingredients to rule out any possible allergies. Stay cool. Store all ingredients and left overs in cool places, refrigerating when necessary. Get fresh. Use fresh, preferably organic ingredients. Save the date. Label and date your homemade beauty products, and never use them past their shelf life. When in doubt, throw it out. Discard any ingredient or product that develops an odd smell or appearance. 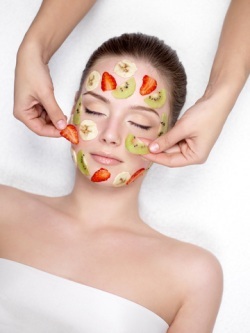 Get glowing with simple and effective homemade face mask recipes. Scrub away that dull, flaky complexion to reveal smoother and younger skin with a homemade facial scrub. Scrub away dry, flaky skin and increase circulation with homemade body scrub recipes. Worried about the safety of your deodorant? Give toxic antiperspirants and deodorants the boot with simple and effective homemade deodorant recipes.